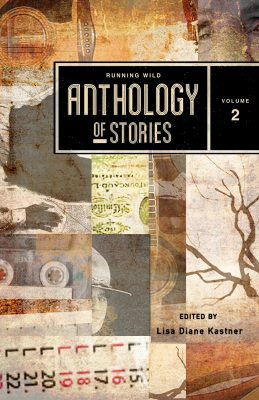 It’s been just over a year since my short story “Undaunted” appeared in this juried anthology. This call for submissions could have you bragging about your own inclusion in a juried anthology. This one isn’t for short stories, though, unless you can tell an entire story in up to 125 words. I know some of you are very good at that. What author Jaleta Clegg is looking for, mostly, is an abundance of silliness and weirdness. She wants happy and silly and hopeful, not dark or scary or disturbing. Well, she says, maybe a little disturbing. The idea is that it’ll fit on a page of funky fonts and cool formatting. And be silly and weird and happy and silly and hopeful and a little bit disturbing. BUT that’s still not all. Nope. She’s also letting you tack one more thing onto that line you get to brag: Proceeds will go to Heifer International, so this is a charity initiative. Got all that? Juried. Paid. Charity. 125 words. Silly, weird, hopeful, happy, and slightly disturbing, probably in its absurdity. Need that link again, so you can check it out yourself? Here it is. Nice and long, so it’s easy to see and easier to click. Good luck! You have until the end of May, thereabouts, because weird and silly and slightly disturbing… there are no real deadlines for THAT kind of fun. As always, if you make the cut, come back and brag about yourself and use this space to help promote yourself and your anthology! Jaleta Clegg is another of my long-time friends. In fact, if you missed it, I hosted her a little over a year ago, when she had another new release. This might even be the same series… In fact, it is! Don’t worry if you’re new to the series… read on. Let’s start with the reason we’re here: Jaleta, What song makes you think of your book? Chicago – We Can Last Forever. No, my book is not a sappy love story. It’s science fiction adventure, heavy on the action and explosions and fight scenes. But I have this thing for sappy 80s love songs. I write my action scenes with them playing in the background. My iTunes library is chock full of sappy love songs for that reason. I also have a lot of movie soundtracks because they make great mood music, but it’s the love songs I keep turning to for inspiration. Love songs? Really? And we’re friends? Good thing Jaleta is awesome in so many, many other ways. So if you’re looking for some good adventure, try Cold Revenge. It’s book 5 in the series, but don’t let that stop you. Each book was intended as a (mostly) stand-alone story with a complete beginning, middle, and end. Cold Revenge – Revenge is a dish best served cold. Jerimon is about to serve Dace to the Targon syndicate. On ice. I’ve known Jaleta Clegg for a number of years now. We have a bunch of stuff in common, so it’s nice to host her here today with her new release, Priestess of the Eggstone. It just released last Friday, the 10th, so you’re really getting this news fresh! The song captures the essence of a scene near the end of the book, plus it’s a cool song from a cool group. I love Alan Parsons Project. Priestess of the Eggstone is one long chase scene with lots of fighting, shooting, cake throwing, and explosions. But near the end, Dace (the main character) has to make a choice. She can’t trust the man she loves because he works for the Patrol. Has everything he’s said and done been an act to win her trust so he can recruit her? Want the blurb? Sure you do! Pursued by the Targon Crime Syndicate bent on revenge, the Patrol intent on recruitment, and the Sessimoniss who want their god back, the last thing Captain Dace needs is a handsome copilot with romance on his mind. But thatâ€™s exactly what sheâ€™s got. She didnâ€™t realize she was smuggling when she accepted the courier job. Now Targon wants her for stealing the shipment and the Patrol wants to arrest her. The Sessimoniss want their god returned. And Jerimonâ€™s aunt is planning their wedding. She doesnâ€™t know which scares her most.